Recorded Live at Tokyo Metropolitan Art Space, Tokyo, Japan - August 04, 2006. Excellent+ Audience Recording :: Japanese CDR/s :: MP3 CBR 320 kbps & FLAC. Files: 14. :: Size: 213.99 MB (mp3) | 573 MB (flac). Notes: It was an impossible fantasy... Mr.Masaya "yasu" Yasue at NJP had this dream for a long time. Finally he made it came TRUE. 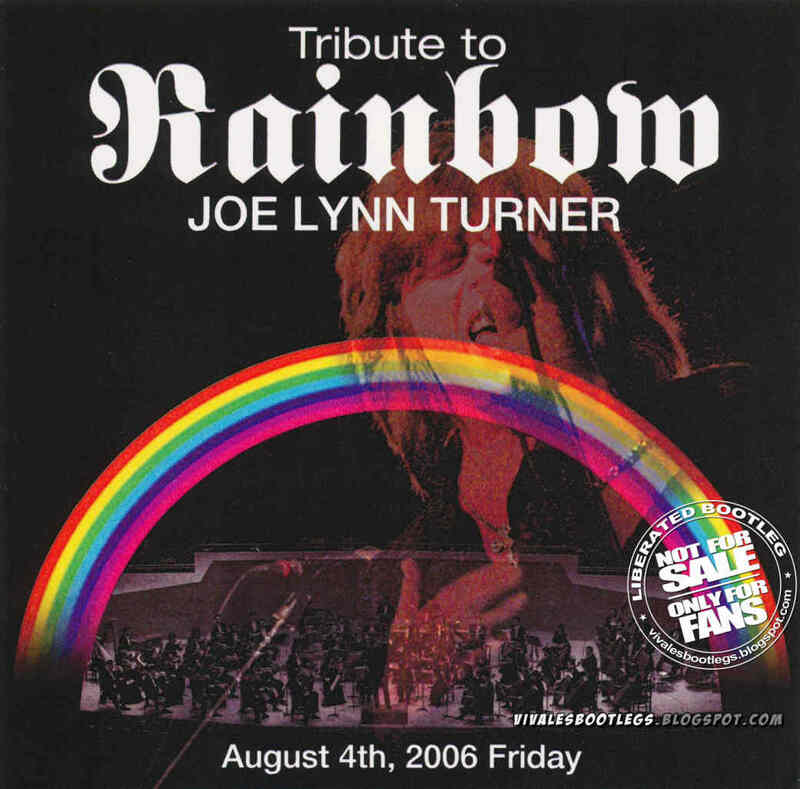 August 4 Joe Lynn Turner and New Japan Philharmonic Orchestra teamed up for Symphonic Rainbow Concert called "Tribute to Rainbow." The world famous Japanese hard rock-heavy Metal magazine BURRN! carried special articles of the One Night "dream" concert for three successive months. The venue, Tokyo Metropolitan Art Space "Tokyo-Geijyutsu-Gekijyo," is such a beautiful space where there are three sizes of symphonic halls. The Tribute to Rainbow took place in Main Hall where there were about 2000 seats for the audience members. On the front of the stage there is a pipe organ having 126 stops. This is a full-scale concert hall for orchestral performances. The program had two parts. It had a 20 minute intermission. The first part centered around orchestra sounds with instrumental and slow ballads. Joe put so much feeling into what he sung. His voice was bluesy and just magnificent. Especially, Tchaikovsky's From Overture "1812" op.49 was so marvelous. They called this tune the memory of Mr.Cozy Powell. That's true. Tympanis went off at hall just like a loud report of Cannon. Cozy's memorial pictures reflected on the wall of main hall. After the interval, the 2nd part had come. Please see the Set List! 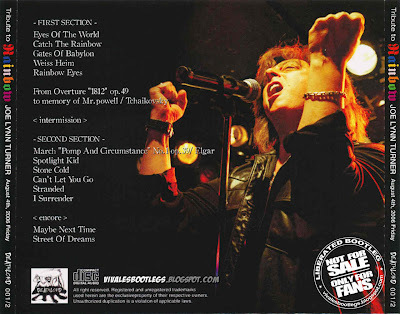 You'll realize that it was just for Joe Lynn Turner time. It started with the very famous classic march number Elgar's March "Pomp and Circumstance" No.1 op.39." The concert master Mr.Yasushi Toyoshima was just delightful. Many hard rock-heavy metal fans who had not listened to classic music said to me that it was a very moving sound! So we were very impressed with Mr.Toyoshima! As same time, I felt this tune was there just for Joe Lynn Turner. It was the opening number for Joe Lynn's Rainbow songs! !.<-(Info taken from joelynnturner.com). Thank you so much for this one ! A really great concert !! !